CARE is helping transform Bihar’s healthcare system, and improve the quality of services available. Bihar, in India, is home to millions of people living on or below the poverty line – in some rural parts, it can be up to 60 per cent. According to India’s 2013 census data, maternal and child mortality rates in Bihar are higher than the national average, with two mothers in every 1,000 dying, and four babies dying out of every 100 born. CARE’s support in the region is helping to bring about change in Bihar. When the work started in 2011, a high percentage of premature babies were not surviving at birth. Since CARE’s program was launched, this has rapidly started to change. In some cases, mortality rates for low birth weight babies during their first 28 days have reduced from as high as 55% down to between 10-15%. CARE is achieving these kinds of results by training frontline health workers or village ‘ASHAs’ (Accredited Social Health Activists). The trained ASHAs provide a critical outreach function that has helped reduce the gap between rural communities and the various healthcare services available to them. The ASHAs visit every house and advise people to go to hospital for vaccinations, train the families of pregnant women on birth preparedness, sanitation and keeping properly washed and dried clothes for the newborn babies, and advise them to have extra money on hand for emergencies. They also provide critical instructions to those who have no access to hospitals about delivery and childcare at home, as well as the dangers of disease. Because of their efforts, fewer newborn deaths are happening. For some new mothers, such as Ruby and her baby Ruksiba the village ASHAs are a great source of support, information and advice. Ruksiba weighed only 2kg at birth, and the family thought she wouldn’t survive. 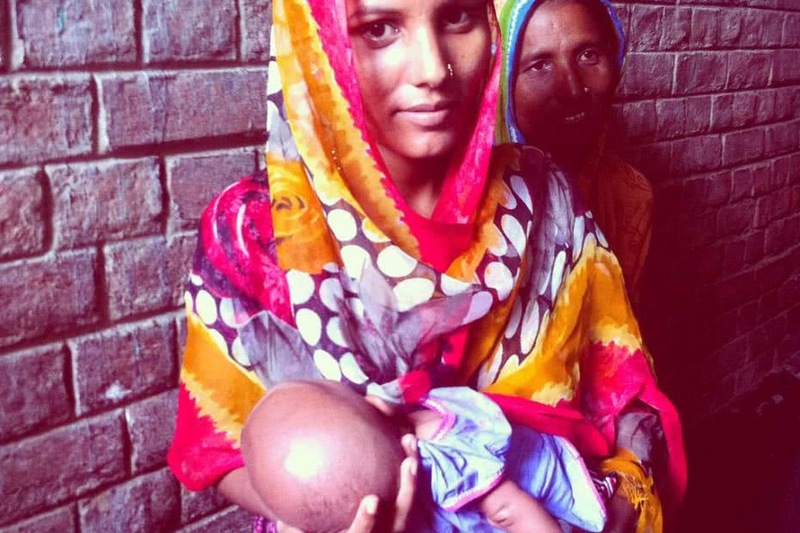 It was critical for Ruby, especially as a first-time mother, to be able to seek basic guidance from CARE’s workers on breastfeeding and vaccinations. This advice is also made available through twice-weekly “Village Health Nutrition and Sanitation Day” events, supported by CARE. These events bring new mothers together to learn about complementary feeding, to receive vaccinations, and to learn about how to give their babies the healthy start in life they need. CARE hopes to remain active in Bihar for years to come – for it surely will take years to bring about the change that women and their families deserve, and to give their babies the healthy start in life they need. Learn more about CARE’s work in health.